Kashis is a 3 year old company . They exclusively deals in wedding invitations. Customer can find wide range of creative cards with beautiful designs in different shades. Kashis is a invitation card based out of Mumbai . Kashis's telephone number is 76-66-77-88-99, address is Shompuri Complex, Station Road, Willingdon, Santacruz West, Mumbai, Maharashtra 400054, India. 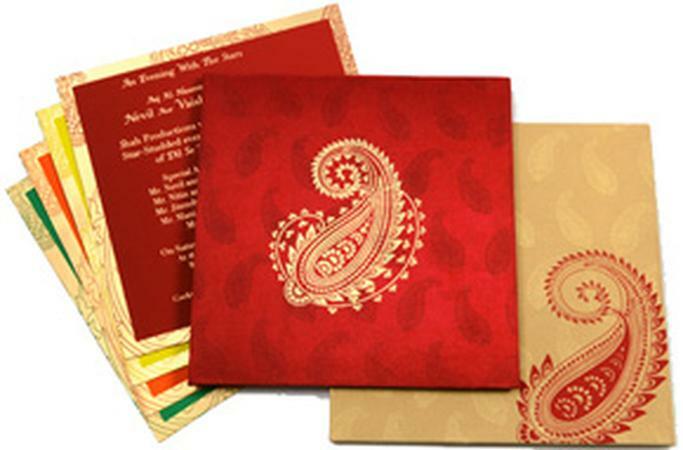 Kashis is mainly known for Wedding Invitation Cards, Wedding Cards, Designer Wedding Cards, Marriage Cards.. In terms of pricing Kashis offers various packages starting at Rs 5000/-. There are 0 albums here at Weddingz -- suggest you have a look. Call weddingz.in to book Kashis at guaranteed prices and with peace of mind.